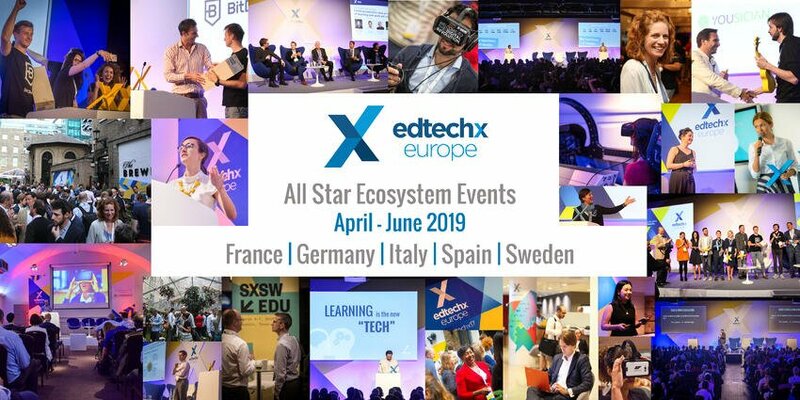 Be a featured startup pitching at one of our EdTechXEurope Ecosystem Events! We're looking for the best and brightest startups transforming the future of learning and work to participate in our startup pitch competitions in April - June 2019. Are you part of a fast-growing company with an innovative technology focusing on education and/or work? Apply below to be one of the entrepreneurs who will be be invited to join us in London! In partnership with our local partners, EdTechX will feature (at each of our events) 5 - 6 local startups who will be pitching to a panel of esteemed judges, including investors and industry leaders. The winner, selected by these judges and the audience in attendance, will then receive the chance to pitch against 27 other startups in front of 900+ global thought leaders at the annual EdTechXEurope summit as part of the final Global Startup Super League Competition.